Do You Like Jokes and Life Advice? Then you should buy my book. It's called “Adulthood for Beginners: All the Life Secrets Nobody Bothered to Tell You.” It's the funny life survival guide you didn't know you needed. It features advice on dating, friendships, jobs, happiness and generally not looking like a dumbass. Basically, I was an idiot so you don't have to be. Order your copy now! “Darn funny...an advice book aimed at young people that might just do them some good while providing a laugh or two.” — Associated Press. “It’s the perfect gift for a high school or college graduate.” — Library Journal. Andy Boyle is a writer, web developer and speaker. His work, including a viral piece about giving up drinking has been in Esquire, NBC News, The Chicago Tribune, The Boston Globe, The St. Petersburg Times and The New York Times Regional Media Group, where his work was cited in the 2012 Pulitzer Prize for Breaking News. He's currently the Director of Platform Architecture for Axios. When he's not teaching classes in digital storytelling or working on screenplays and novels, he gives funny talks, usually in venues that shouldn't allow jokes. 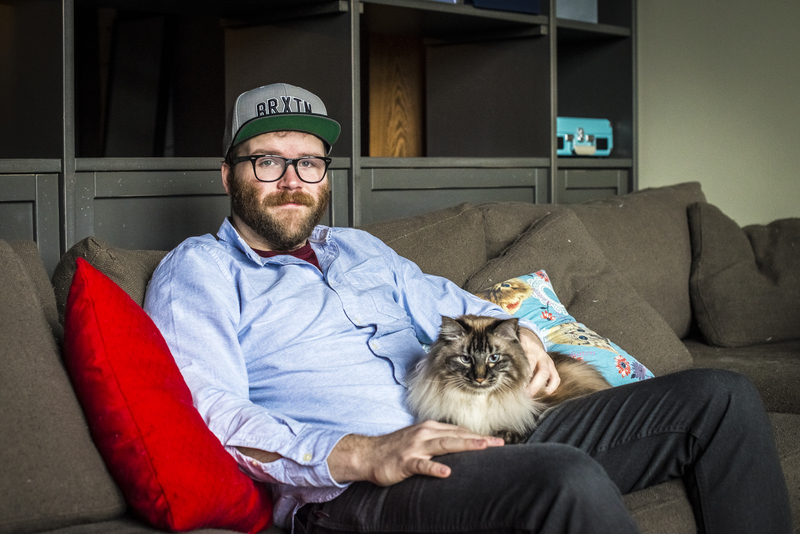 He lives in Chicago with his way-too-fluffy cat Tiberius. Follow him on Twitter @andymboyle. And yes, he'd love to speak at your thing if he can. Feel free to contact him. If you're looking for a photo to use for press, this is his official author portrait. The photo credit for this image is Mandy Dempsey. You can also: Download this photo. I wrote words sometimes. Do you want me to write words for you? Contact me. Want me to give a talk or host a workshop on creativity, "the youth" or web development? Want to hire me to tell some funny and uplifting stories? Or maybe write something for you? Or consult on a project you're working on? I'm down. Click the button below and let's get this party started. ©2017 Andy Boyle. Cat headshot by Mandy Dempsey.